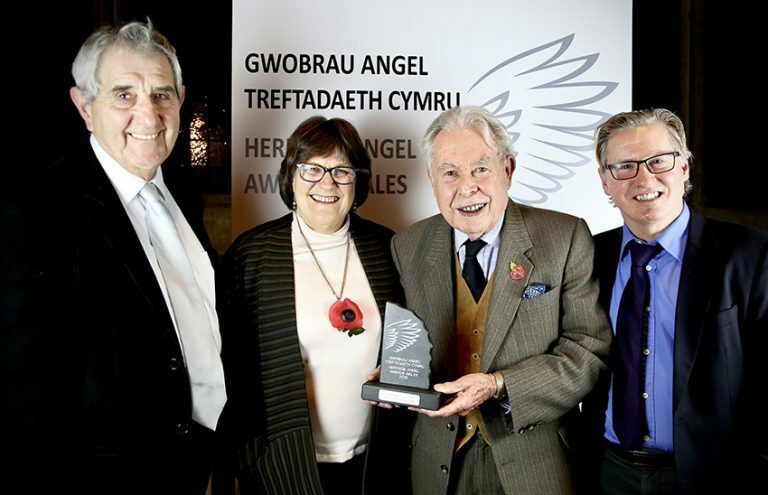 Heritage Angels – people who have played a special part in caring for Wales’s heritage – were recently honoured at a special awards ceremony, sponsored by the Andrew Lloyd Webber Foundation, at Caerphilly Castle on the 8th November 2018. Although we didn’t win the award we were shortlisted for - “Best Rescue of an Historic Building or Place (for projects under £5m)", we did win the public vote – based on all fifteen of the projects shortlisted for an award. We’d like to congratulate Yr Ysgwrn on winning this award and we’d like to wish them, and all of the successful Welsh projects, the best of luck in the final in London at the end of this month. Gwilym Hughes, Head of Cadw said: ‘The Heritage Angel Awards are designed to celebrate the people who have made a difference to the UK’s historic environment, achieved through fundraising, restoration, community projects and training ― and 2018 marks the first Heritage Angels ceremony in Wales. ‘The strength of the winning and shortlisted projects demonstrates the wealth of heritage conservation schemes taking place in Wales today ― a hugely exciting prospect for the future of Wales’s historic places. I’d like to congratulate all the winners and encourage them to continue working hard to conserve, restore and showcase Welsh history for future generations.